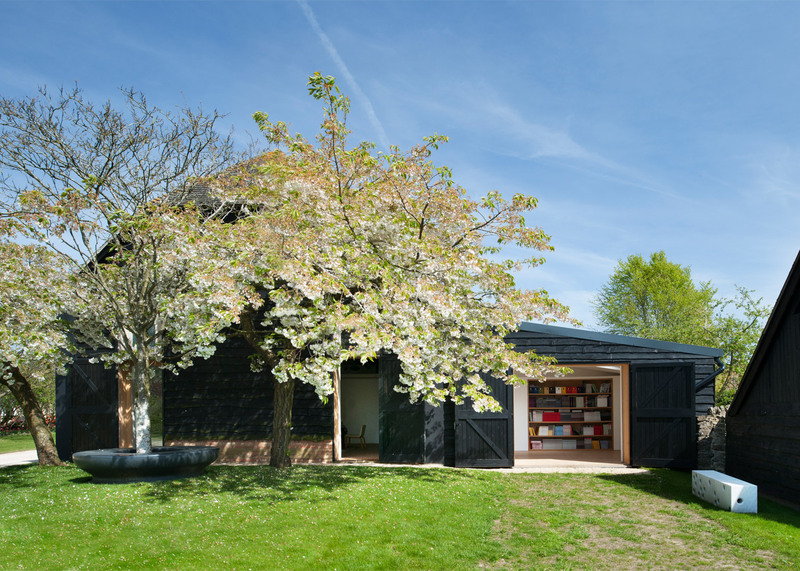 A book-lined room is concealed behind secret doors in this 17th-century barn conversion carried out by Studio Seilern Architects at an estate in Oxfordshire, England (+ slideshow). 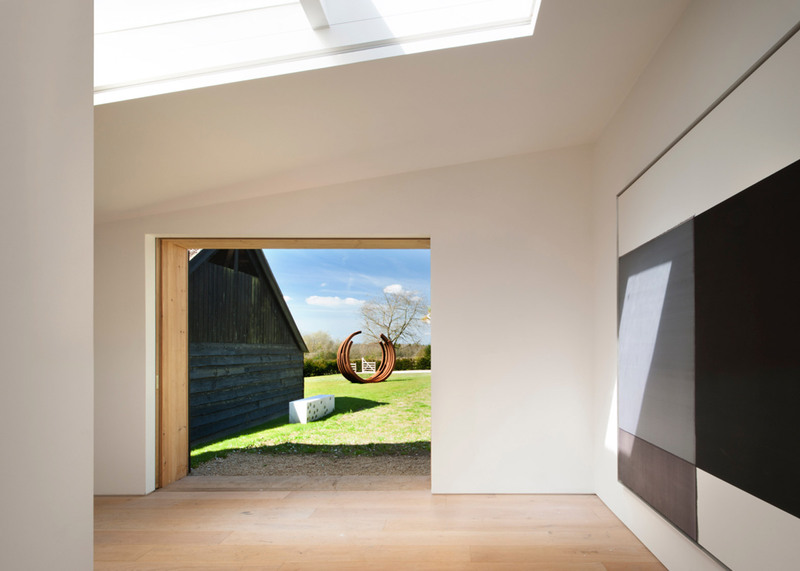 Christina Seilern's London studio was asked to convert the barn, which forms part of the Old Blecher Farm in the village of Little Milton, into offices and an exhibition space to contribute to the upkeep of the estate. 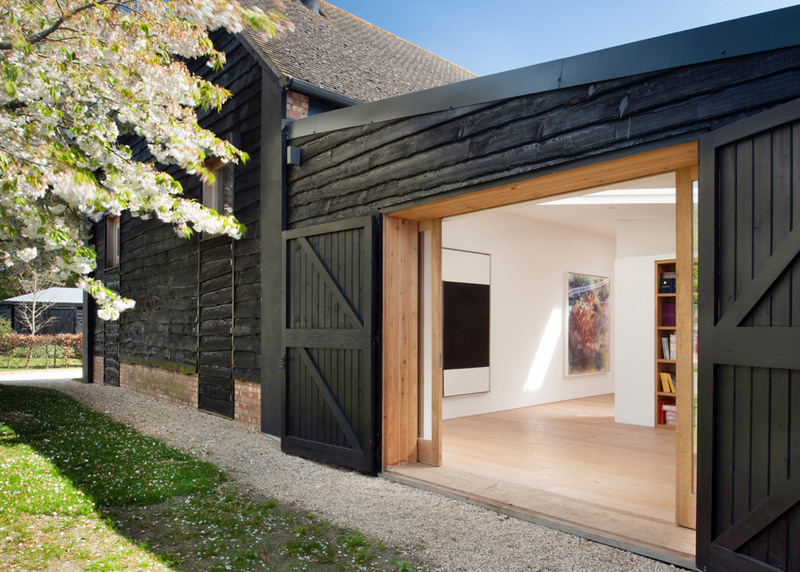 Behind the barn's facade of blackened weatherboarding, the team created a suite of bright white office spaces, exhibitions areas and a dining room, all wrapping around the intimate library. They called the project Albion Barn. 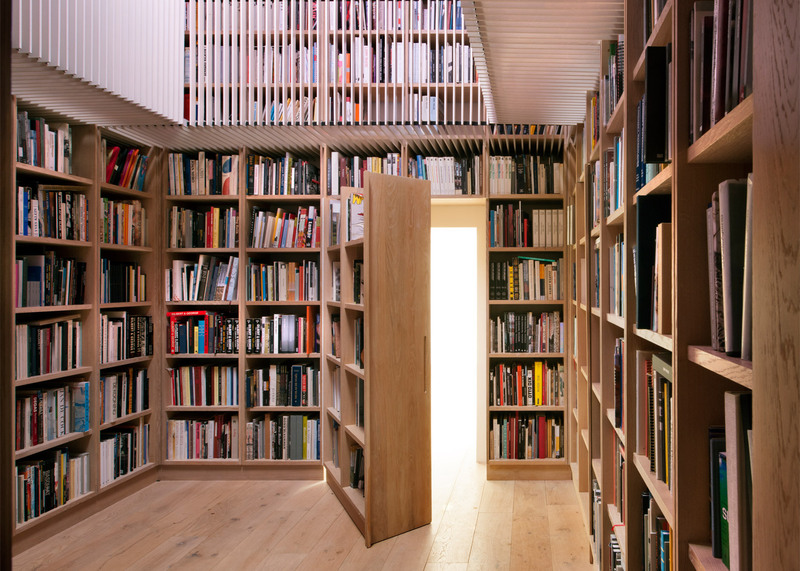 The library is hidden behind four secret doors with integrated bookshelves, which close to complete a room lined on all four sides by books. 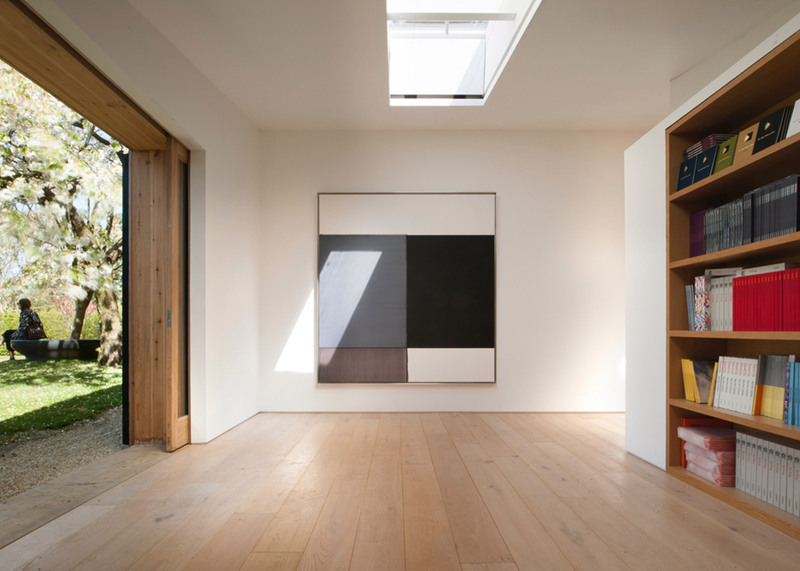 "While the galleries are pared-down in design, the library is somewhat whimsical," said Seilern, explaining how she wanted to give the reading room an intimate ambience that contrasts the brightly lit rooms surrounding it. The library has a polished steel ceiling with an oculus in its centre. 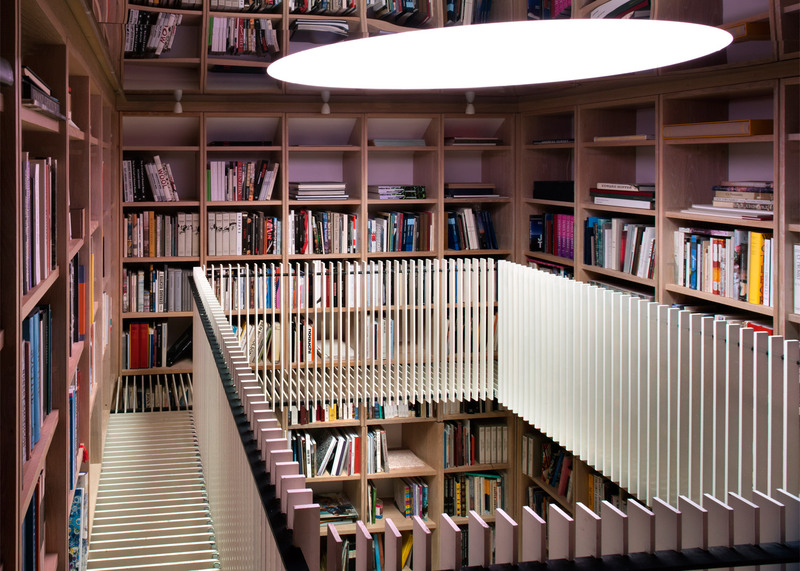 The reflective surface mirrors the space to create the illusion of a double-height room – Shanghai studio XL-Muse used a similar technique to create a disorienting bookstore. 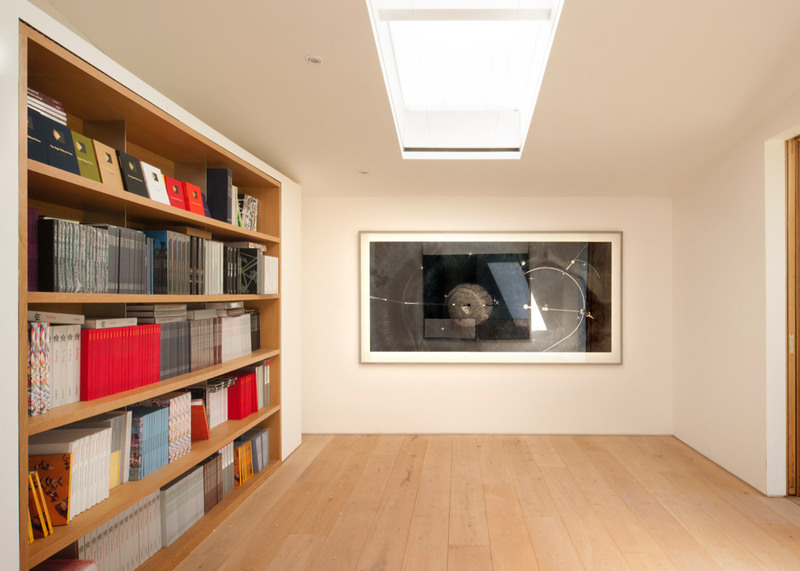 The room is surrounded by a narrow mezzanine gallery with L-shaped steel balustrades, which provides access to books on the highest shelves. Studio Seilern Architects also recently teamed up with fellow London-based architect Muzia Sforza to design a home and recording studio for a musician overlooking Africa's Gota Dam. The property, which perches on a rock by the water's edge, features a secluded library that is wrapped in a coil of red concrete.